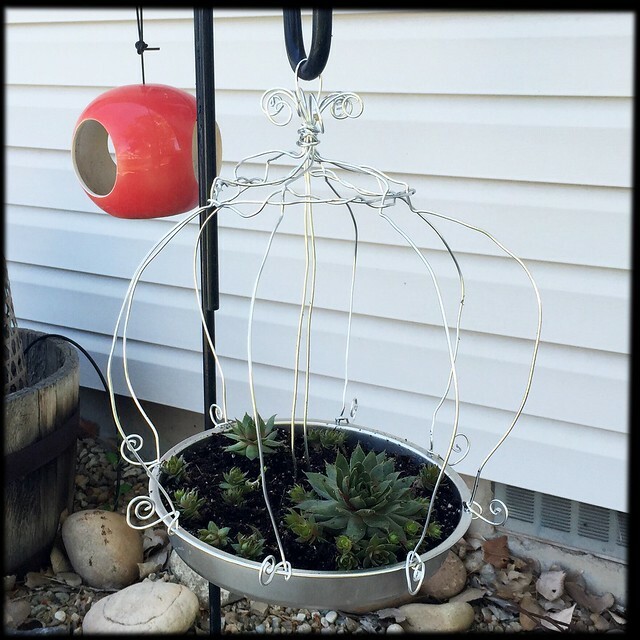 My Craft Book Club project for Truman Capote's Breakfast at Tiffany's I made a birdcage planter! In the book Holly gives the narrator, 'Fred', a birdcage that he treasures long after Holly is gone. 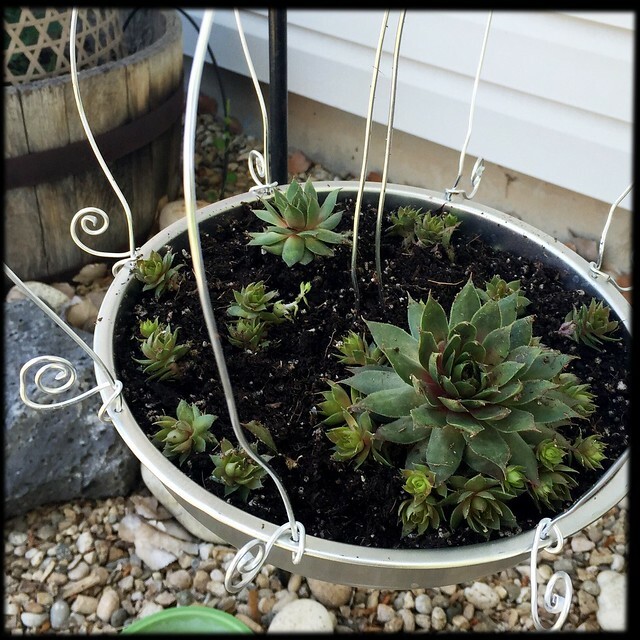 I made this inexpensive planter from an inexpensive cake pan and some heavy gauge floral wire. The project cost me $10 plus the hens & chicks. 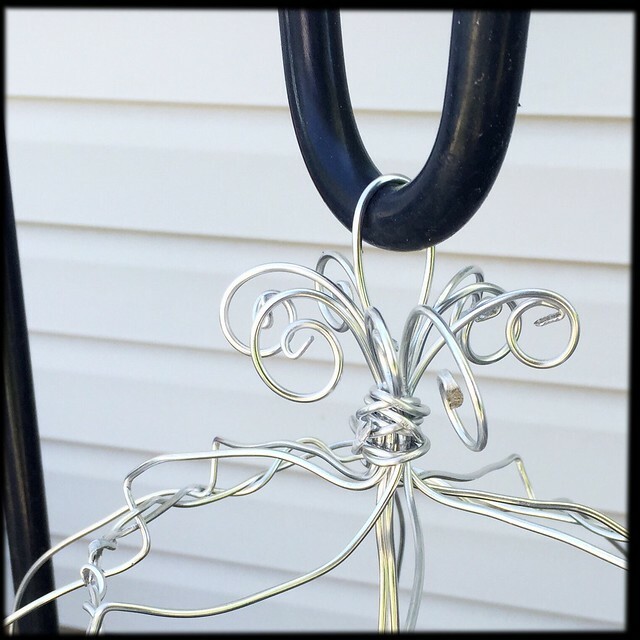 The weight of the planter is supported by a length of wire secured through the center of the cake pan, this wire also serves as the hanger. Eight additional lengths of wire make the 'cage', the ends of which were curled for decoration. All the wires were secured together with a piece wrapped tightly around them and another length of wire was woven between/around the tops of the wires for decoration which also keeps the 'cage' wires in place. Holly makes 'Fred' promise to never keep a living thing in his birdcage, I planted some hens & chicks. Our next read for Craft Book Club is Grimms' Fairy Tales by Jacob & Wilhelm Grimm! I need to see if I remember them as poorly and if they are as crazy as Hans Christian Anderson's. It turned out really great! I'm very happy with it!